Fremont Auto Center is the premier Fremont Mazda service and repair shop. Whether you drive an SUV, a family sedan, Mazda 3 or Mazda 6, the crossover CX-5, or the sporty Miata, our nationally ASE certified technicians have the training, experience, and state-of-the-art tools to diagnose and repair your vehicle. Most of the time, we will be able to diagnose, repair, and return the vehicle to you the same day. 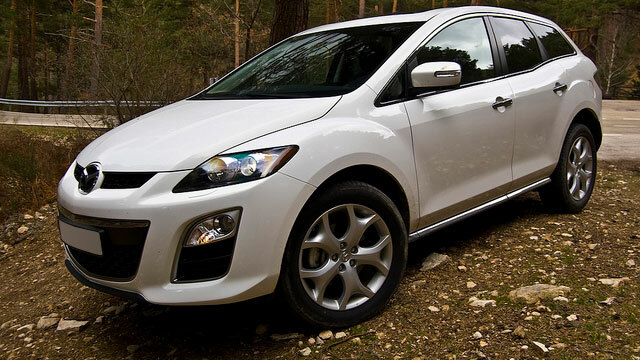 Mazda brand is synonymous with vehicles that are economical and reliable. While it’s true that some Mazda models have been known to experience clutch problems, and some of the older Mazda models faced transmission issues, overall Mazda is a no-nonsense car that can provide years of reliable transportation. To keep your Mazda in top shape we recommend regular maintenance – regular oil changes, and in general, following factory recommended schedule of services. Servicing your Mazda with Fremont Auto Center satisfies requirements to keep your Mazda factory warranty in force. Our nationally ASE certified mechanics have the skills and experience, and the latest diagnostic tools to pinpoint what your car needs, and we use Original Equipment quality parts. Fremont Auto Center is a full-service Mazda repair shop – our broad range of services includes everything from oil change, to brake repair, electrical system diagnostics, and repairs, “check engine” light diagnostics and repairs, to transmission problems, and engine repair. We are here Monday through Friday, and Saturdays by appointment. Schedule an appointment online, or simply give us a call.